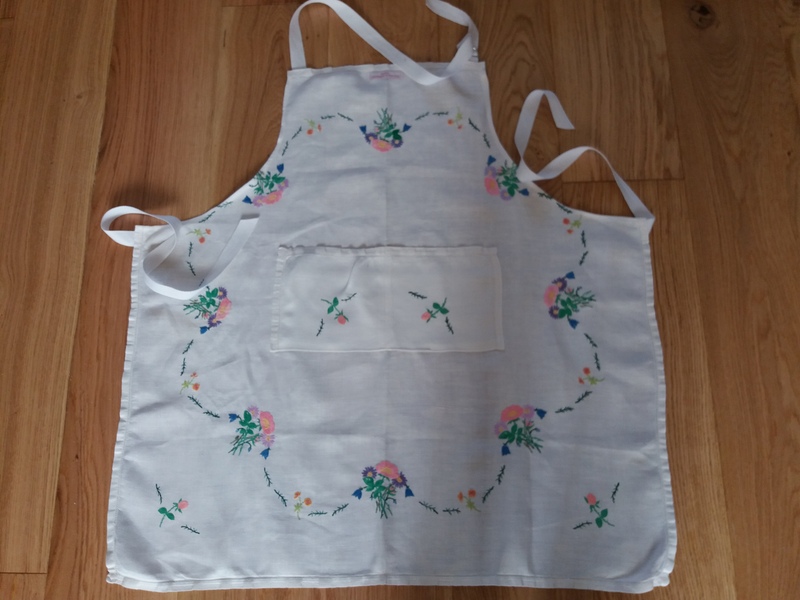 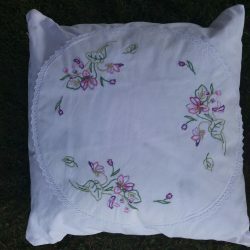 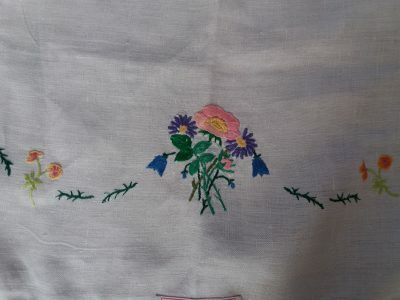 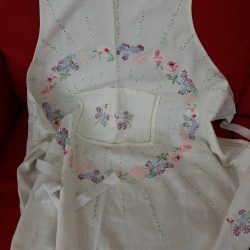 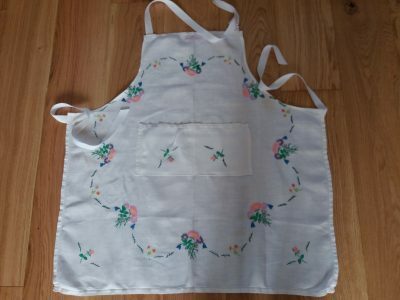 A medium sized apron made from a white hand embroidered Vintage Linen Tablecloth. 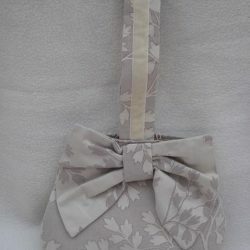 Long white herringbone tape ties and adjustable neck tie with D-rings. 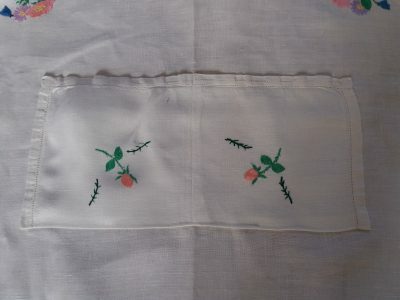 Divided pocket on the front.